Boiled down. A person needs talent. They need to be doing something that they love. And finally, they need to work hard at it. If all of these elements align one will be successful. If you read this blog you know that my daughter has talent and she loves playing sports. What surprises many people is how self-motivated she is. She practices non-stop. If she cannot convince my wife or me or her brother to practice with her, then she will simply goes outside and practice by herself. She exhausts us but she never seems to exhaust herself. I think that we are all born with a measure of confidence. And confidence can build or wane depending on a person's ability, motivation and attitude. My daughter played in the final 4 of Ohio U10 girls soccer yesterday against perhaps the best team in the state. 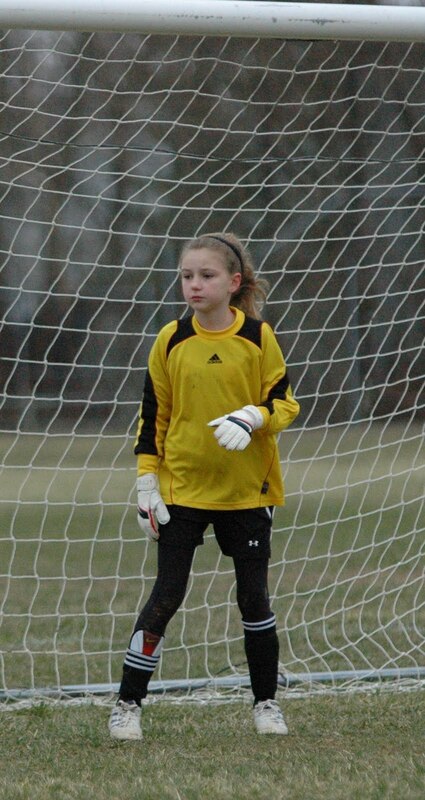 My daughter is the second half goalie. She held this powerhouse team to 1 goal and gave our team a fighting chance, but we lost 3-2. She made two spectacular saves. My daughter was thrilled after the game. She knew she played very well - it was another confidence building day.